Marco Polo Plaza Cebu is one of the UFS Sooo Pinoy Food Tour destination in the Cebu leg last April. Marco Polo Plaza Cebu, sits at Nivel Hills Lahug Cebu provides an overlooking panoramic views of Cebu City. Marco Polo Plaza Cebu is Cebu City's only 5-star hotel, provides its guests the privacy they needed with its Continental Club rooms. The Marco Polo Plaza Cebu is also home to some of the finest restaurants of Cebu City with unique flavour and ambience and serves Mediterranean, South-East Asian, Western and Filipino cuisine. Cafe Marco's Inun-unan nga Tangigue (Fish Tanigue/Spanish Mackerel stew) is proudly Cebuano with ingredients like white vinegar, local eggplant and Kamias, green chili finger, bitter ground, garlic and ginger, In Katagalogan this method of cooking is called Paksiw na isda, or Sinaing na Tulingan in Batangas and Pinamalhan nga isda for Ilonggos. Inun unan is also famous method to cook fish variety like Stone Fish, Bariles, Galunggong, Tulingan or Yellow fin tuna. Cafe Marco also prepares a Cebuano Pork and Chicken Adobo recipe and gladly it is paired with boiled Corn grits or Bugas Mais, a substitue to rice. Corn grits is widely used in Cebu and makes a good partner with Inun unan and Chicken adobo. The adobo sauce over the corn grit makes a perfect tasting rice. Marco Polo Cebu's version of Iloilo's Pancit Molo (chicken wanton soup) uses chicken meat from the ribs and neck parts to enhance its flavours. 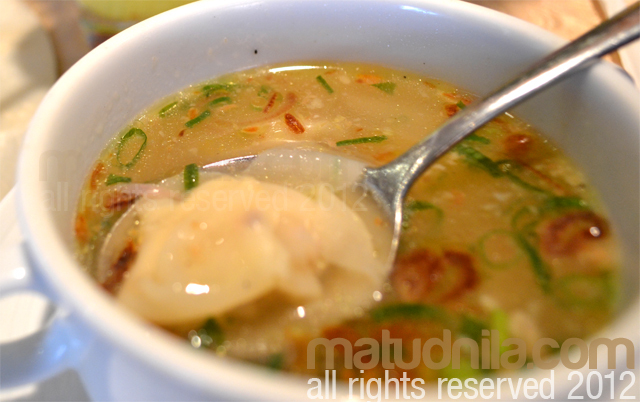 Ground pork, shrimps and other spices are also present in the broth that it creates. Sooo Pinoy Food Tour campaign is spearheaded by Unilever Food Solutions, the food service arm of Unilever Philippines, to know more about the Sooo Pinoy campaign, liked the Sooo Pinoy page on Facebook or follow @SoooPinoy on Twitter. 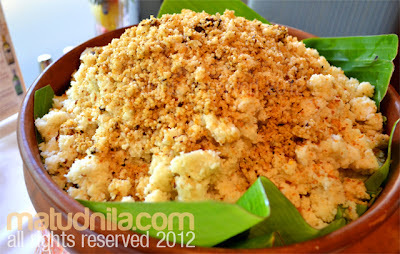 Marco Polo Plaza Cebu Cafe Marco Buffet Restaurant posted at Cebu Events Blog. 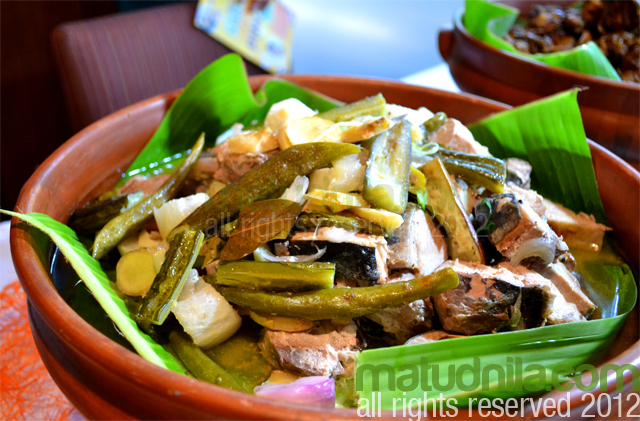 0 comments: on "Sooo Pinoy Food Tour Cebu: Marco Polo Cafe Marco Mais & Inun-unan"